Quick Links: Ebola Outdoor Watch National Knife Day CB Radio Incredible Wolf T What kind of binoculars should I buy? Discussion in 'Off-Topic Discussion' started by NetMonkey, May 5, 2011.
i was looking to get a portable air compressor, but it seems that there are so many and with mixed reviews. 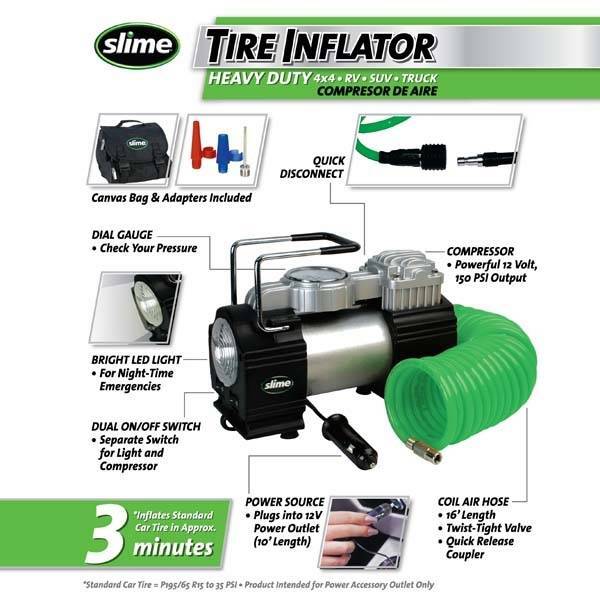 does anyone have any experience with these 2 or can you recommend an air compressor? my budget is under $100 and this will be mainly used for inflating tires on the trail. MV50 or MV90 for sure. I had good luck with my viair portable as well, only replaced it when I got 33s then 35s. did you have any issues with blowing fuses or buring the power cord as stated by some reviews? is the MV50 good enough for 33" tires? or would the MV90 be better? ohh.. but the MV90 is $160. a little out of my price range. I had the viair 90P, no issues, still have it, just don't use it. Never run the MV50 but lots of people run them and while I have heard of the cord issue I think overall it's a little problem and you're not very likely to run into it. The MV50 is going to be slowish for 33s but that slime compressor would be garbage. A guy I know has one (the slime) and was using it to fill up his 33s while I filled up my 33s with my 90P. He wasn't finished with his second by the time I was finished with all four, and that 90P is slow, and I was running my tires at 42PSI where he had a Jeep so presumably he was going to 30 or so. ok... so now its between the Viair 90p and the MV50. is the 90p worth the extra $20? I'd still suggest the MV50. More CFM, probably better duty cycle. I just bought a Smittybilt portable it has gator clamps for the batter connections. I have heard good things and with shipping was under $100. Hmm. I might look into one as well. The reason I never deflate when wheeling is because I don't want to drive on the road with deflated tires. I wonder if any of these would work on the stock plug in the bed. Damn thing can be picky. They draw too many amps. I'd advise against it. Lame. I know my little cheap compressor at home won't run off of the plug but I was hoping these would be ok.
You could always take the gator clips off and attach quick connects, then run some 8 gauge cables and an inline fuse from your battery somewhere with a quick connect. i just ordered the MV50. thanks for all the input. Cool, I think you'll be pleased. I just picked my central phneumatic from harber freight for like 60$ my buddy has one and it filled all 8 tires in under 20 min. didn't get hot or anything. and it hooks up to the batterie which is really nice, comes with a tire gauge and 25 foot hose. can't wait to use mine. i looked at the ones you are but then i went on a road trip with my friend and found out how well it worked and i was sold.